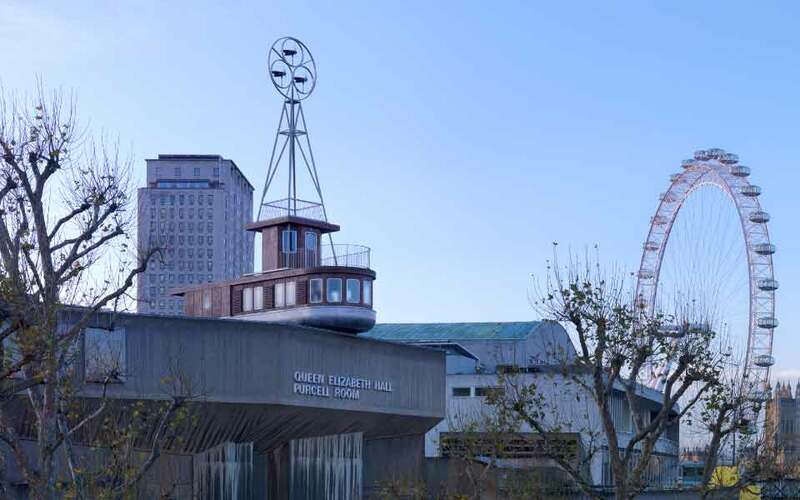 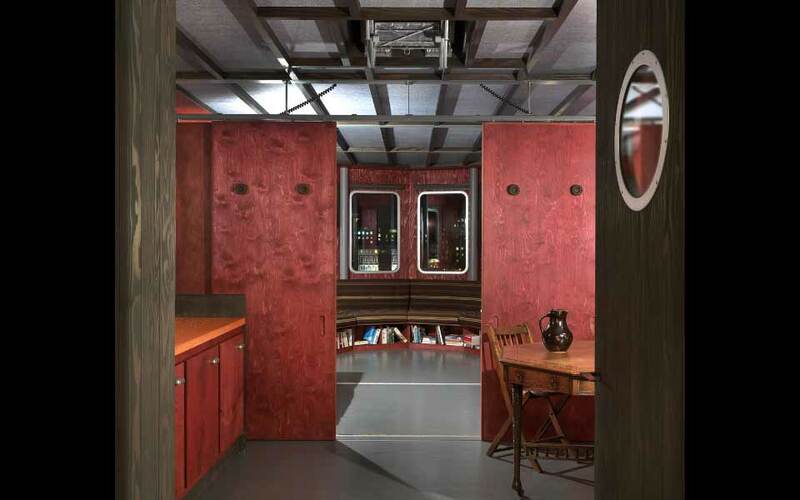 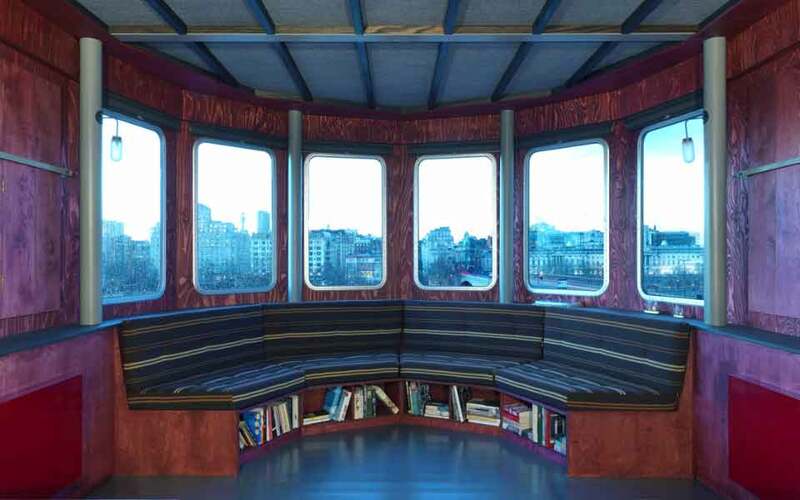 Perched on top of the Queen Elizabeth Hall at London’s Southbank Centre, A Room for London was an installation that doubled as an unusual hotel room, designed by David Kohn and Fiona Banner. 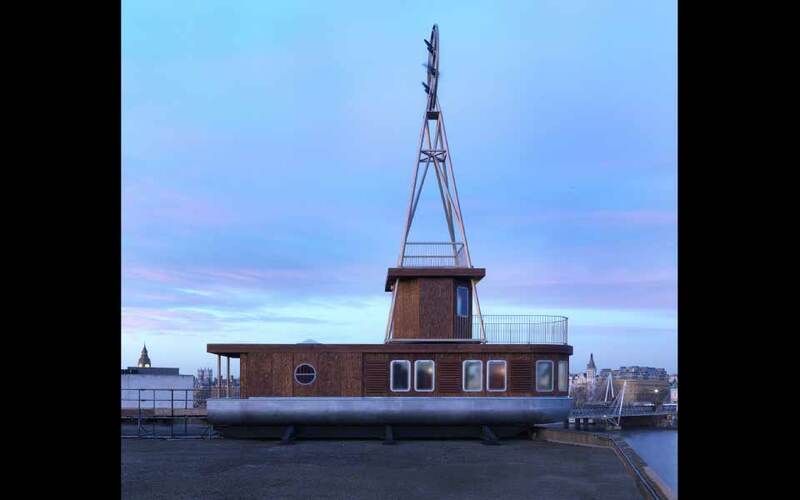 The structure, which looked like a boat thrown on top of the building by some fictitious tidal wave, was a reference to the river journey in Joseph Conrad's 'Heart of Darkness'. 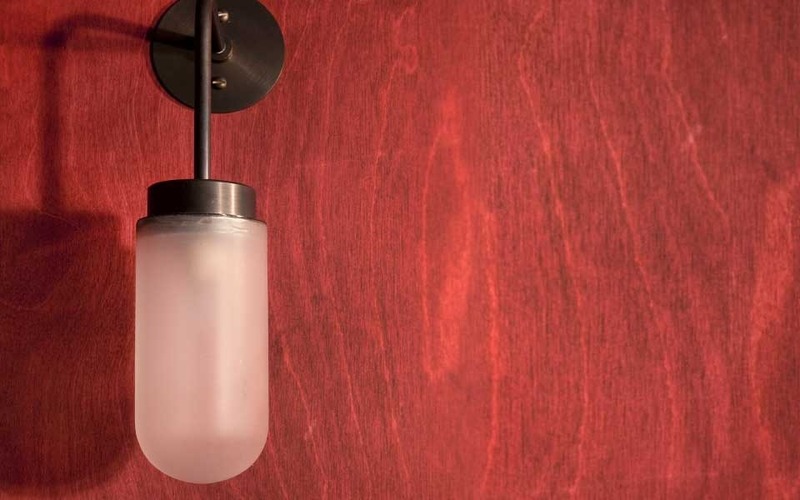 izé supplied the door handles and the lights, which were designed by David Kohn.